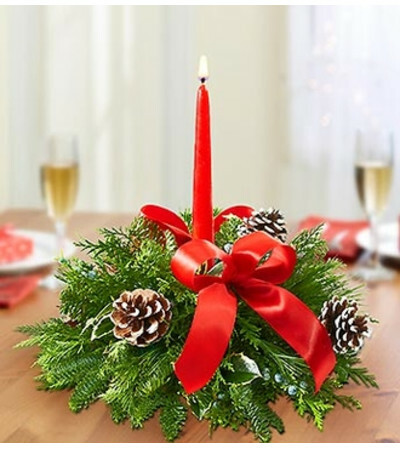 From hanging stockings to making popcorn garlands, they’re all about Christmas traditions. Send this classic centerpiece arrangement of evergreens, holly and white-tipped pinecones, decorated with looped red ribbon and hand-designed in a handy centerpiece dish complete with a red taper candle. 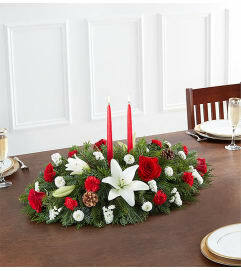 Hand-crafted centerpiece of assorted evergreens and holly, white-tipped pinecones, red ribbon and an elegant 12"L red taper candle.